Development Secretary Justine Greening made the announcement today as she unveiled a series of programmes ahead of International Women’s Day this week. 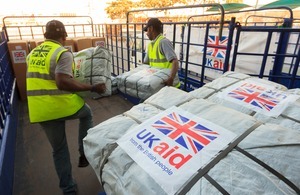 Speaking at an event hosted by Amnesty International, the Gender and Development Network and Christian Aid, Justine Greening said the Department for International Development would become more ambitious on this agenda. “The package of measures I’m announcing today will help girls and women in the countries we work in have a choice over when and how many children they have, and be free from violence; take control over their working lives and have a voice in their communities. Up to £11.5 million to a new partnership with the World Bank for a ‘Gender Innovation Lab’ to enable girls and women access and control economic resources in sub-Saharan Africa. A greater emphasis within the Afghanistan country plan, for the first time, on initiatives to tackle violence against women and girls and ensure the gains for girls and women in Afghanistan are not lost but can be built upon. Further funding to deliver more than 3 million contraceptive implants and 17 million female condoms, helping to avert around 2.6 million unintended pregnancies, prevent more than 4,500 death during pregnancy and childbirth, and avoid almost 65,000 infant deaths. Funding for the Leadership for Change Programme - a pioneering new approach that will support the leadership skills and opportunities of more than 50,000 girls and women. A high-level event in the autumn, bringing UN and humanitarian agency principals and donor heads together to make further commitments to preventing and responding to violence against women and girls. Establishing an Expert Advisory Group on Girls and Women to provide the top quality input to the Secretary of State to help her make a difference. The new programmes build on the department’s Strategic Vision for Girls and Women that places gender issues at the centre of all its work. You can also track what the UK government is doing around the world to support women’s rights on our interactive site for International Women’s Day, which takes place on 8 March.